The identification of Mathematical Physics as a discipline distinct from physics and mathematics in Edinburgh began in 1922 when the Tait Chair of Natural Philosophy was established using the Tait Memorial Fund endowment. The chair was named after Peter Guthrie Tait, a close colleague of William Thomson and James Clerk Maxwell, and the intention was thus that it should be devoted to the teaching of mathematical physics. Charles Galton Darwin, grandson of the great naturalist, was appointed as the first incumbent in 1923. 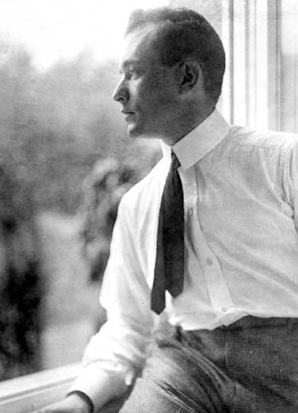 Max Born was appointed the second Tait Professor in 1936, after escaping from Nazi Germany. Born was one of the founding fathers of quantum mechanics, and won the Nobel prize for the probabilistic interpretation. 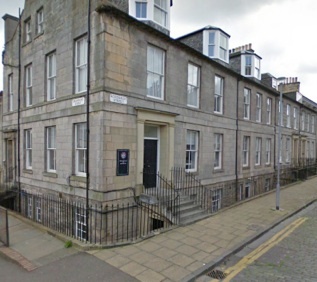 In Edinburgh he gave his address variously as the Department of Natural Philosophy, and the Department of Applied Mathematics, but by 1943 he had resolved to call it the Department of Mathematical Physics. 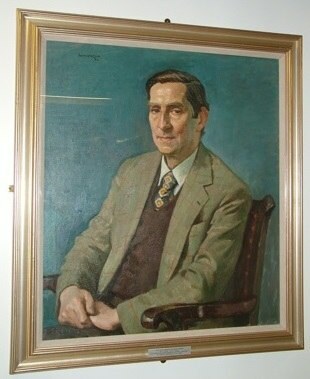 On Born’s retirement in 1953, Nick Kemmer became the third Tait Professor and in 1955 moved his department to the Tait Institute of Mathematical Physics in Roxburgh Street. In 1966 the title of the chair was changed to the Tait Chair of Mathematical Physics. 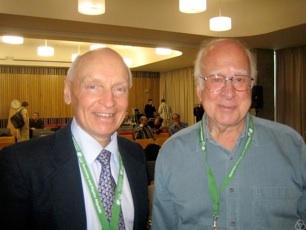 Peter Higgs wrote his famous papers while a lecturer at the Tait Institute in the early 1960’s. In 1971 the Department of Mathematical Physics merged with the Department of Natural Philosophy to become the Department of Physics as part of the move to King’s Buildings. Kemmer retired in 1979, and was succeeded in the Tait Chair by David Wallace. A shift of interest towards parallel computing led to the formation of EPCC in 1990. When Wallace became Vice-Chancellor of Loughborough University in 1994, he was succeeded by the fifth and current Tait Professor, Richard Kenway. 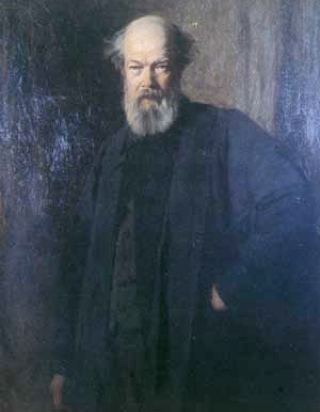 •Wikipedia article: Peter Guthrie Tait.